Singapore turns 49 this weekend, so that definitely calls for a celebration. So what better way to have fun together with the family than having kids-centric activities to do? After all, the kids will be the ones enjoying a long weekend this National Day! Lucky them. This year's fireworks will feature pyrotechnics like no other - in the form of Singapore's crescent moon and five stars! Each star is made out of 49 individual red flames and the crescent moon with 4 sets of 49 individual red flames. The fireworks come on at 8.06pm on 9 August this year but to be safe, anytime before 8pm will be perfect. If you have no NDP tickets, you can still be part of the action and hustle with the crowd for front-row standing room at around the Marina Bay Waterfront Promenade. The Merlion Park and the Esplanade Bridge will no doubt also be very crowded, so do head on down early to book your viewing spot. Or you can check out the rest of the other Vantage points around the Marina Bay area too. If you want to take things easy though, pull out the family picnic mat at The Meadow at Gardens by the Bay, Bay East Garden or Marina Barrage and sit back to enjoy the show in the sky. Don't want to squeeze with the crowd around Marina Bay? Head on down to the nearest SAFRA and join in the revelry on 9 Aug! There will be live screening of the NDP, complete with food and drinks, free dips in the pools, and fringe activities for the kids. Take a picture of yourself looking like you live in Singapore during the 60s. ‘Transport back in time’ with FREE costume change available at Makeover Booths. Take part in our #SentosaRewinds Photo Contest and stand to win attractive prizes! Play, eat and learn as a kampong kid! Recollect memories in our 80’s inspired playground, learn ketupat making among the many other activities to rekindle our long-lost kampong spirit. Express the joy and pride of being Singaporean this National Day over a weekend of activities for everyone! From free music performances, to art & Craft activities, face-painting and playing kampung games, there will be more than enough stuff to keep the kids occupied. 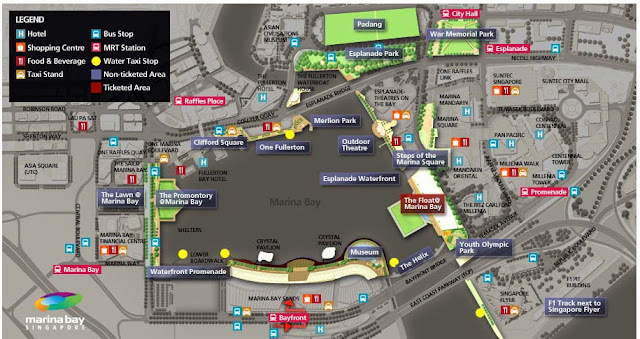 For a detailed listing and timings of all activities, visit www.esplanade.com/nationalday/2014. The National Museum of Singapore and Singapore Philatelic Museum will be holding Open Houses on National Day (9 Aug) while Peranakan Museum will be having its ever-popular Straits Family Sunday event on 10 Aug 2014. Enjoy craft activities and introduce games reminiscent of childhood in the 1980s to your children. Come dressed as your favourite DC Comics Super Heroes character & get to meet other cosplayers at the event. Participate in activities such as Pose and Post (pose in Super Heroes costume and post your photo in the form of a postcard), and Make Your Own Super Heroes Stamps and Buttons. Our experience HERE. In commemoration of Singapore’s 49th birthday, ArtScience Museum will be offering free admission to the museum for the upcoming National Day weekend. The public can visit the museum’s current exhibition, Annie Leibovitz A Photographer’s Life 1990 – 2005, for free during the weekend. Visitors will also be able to enjoy a free guided tour around Annie Leibovitz on Sunday, 11.30am. For more details, visit HERE. Free public programmes activities are also lined up over the weekend for visitors to take part. Both the Cyanotypes and Photograms workshops will be themed with National Day insignia. *Pre-registration is required 5 minutes prior to activities. Learn about one of the oldest photographic processes and create your own ‘blueprint’. Discover the architectural and environmentally friendly features of ArtScience Museum through a guided tour. Create photograms in a darkroom setting and develop them using traditional print photography methods. Find out more about architecture through an interactive tour and hands-on activity using construction materials. To celebrate Singapore's 49th Birthday, get 49% off on the second ticket for every full-priced adult ticket purchased. Senior citizens aged 60 years and above can ride for only $4.90! 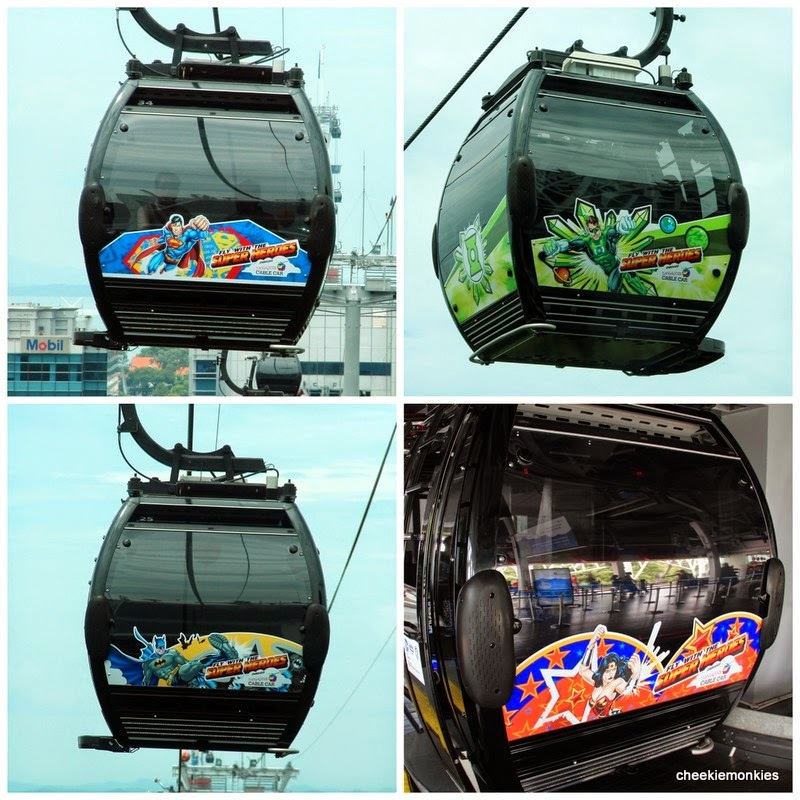 What's more, soar through the sky with Superman, Batman, Wonder Woman and Green Lantern onboard the Singapore Cable Car and join forces with the DC Super Heroes in battling The Joker to save the day! For more information, visit HERE. The worlds best-loved musical, THE SOUND OF MUSIC, will be ending its run on 10 August 2014! This lavish and critically-acclaimed production tells the uplifting true story of Maria, the fun-loving governess who changes the lives of the widowed Captain Von Trapp and his seven children by re-introducing them to music, culminating in the familys escape across the mountains. Don't miss this dazzling production from the home of West End musical theatre, the famous London Palladium! For tickets, click HERE. 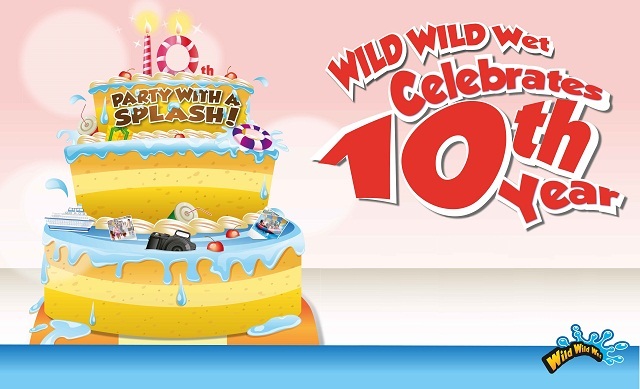 Wild Wild Wet is celebrating its 10th birthday with a huge splash! There will also be life-sized sea creature mascots that will be joining the celebrations, an Aqua Zumba to watch for those who are in for dancersizing PLUS lots of party games! For more details, visit HERE. Enjoy most of the new facilities at Singapore Sports Hub for free until 17 Aug 2014. Check out some of the free activities like canoeing, kayaking, swimming at the OCBC Aquatic Centre, Skate Park and Kids' Playground! Do note that some of the activities require pre-registration. For more details, visit www.sportshub.com.sg/community/Pages/playfree.aspx. Wow, so many great activities for kids during national day in Singapore! Yes, there sure are! Hope you managed to bring your family to some of them over last weekend!